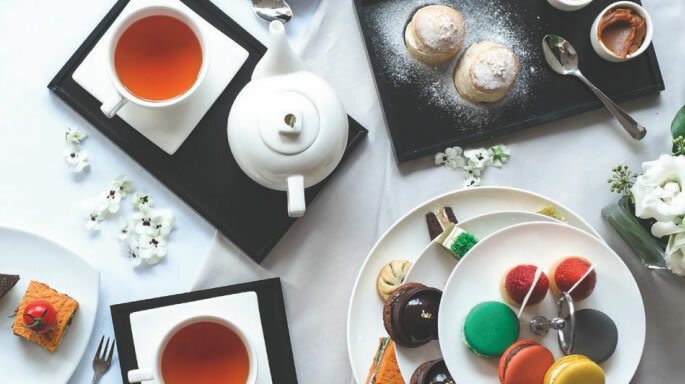 Treat yourself to an unforgettable high tea experience at Three Plates High at the Melbourne Marriott Hotel. An unparalleled high tea experience awaits you. Our afternoon tea menu features favourites such as petite scones, macaroons and mini sandwiches, as well as a selection of sweet treats! Our high tea provides the perfect occasion to celebrate an anniversary or bridal shower, or simply to spend a relaxed afternoon with friends and family. $69 per person (served with a glass of champagne). $75 per person (served with a glass of champagne).